Yesterday I had lunch with one of my best friends and all around stand-up guy, who also happens to be a web designer. Like the complete geeks that we are, we spent the entire lunch discussing web design, a possible JV project, common pain points etc., but most of the conversation revolved around the difficulties with project definition and scope creep. I spend most of my days talking and working with web designers and developers, and hands down this is THE most common problem that I hear across the board. 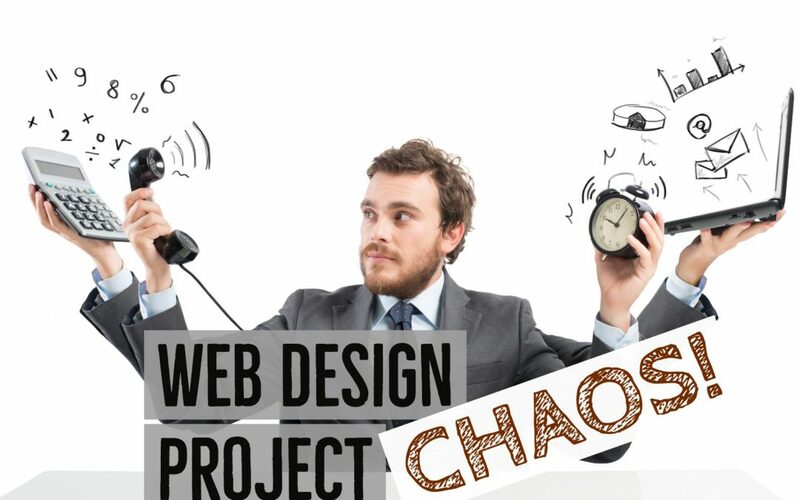 With that in mind, I thought the topic of defining the scope of a project would be perfect for Web Design Journey since that is what so many designers and developers struggle with. …Midway through a web design project, your client sends you a Word doc with 21 unexpected pages of content that they have decided to add and expect done at no additional cost. …Or after your client signs-off on the design, they show it to a partner, or friend, or their mom, someone who “really has an eye for this sort of thing”, and that person says that the website doesn’t look good. Your client, who yesterday loved your design, suddenly doesn’t think it is very professional, or that it doesn’t reflect their image, or just doesn’t “POP”. Of course they expect it to be revised at no additional cost. Unfortunately, not only are the above scenarios of a project-gone-wild, frustrating to us, but it usually becomes frustrating to our clients as well. They had planned on adding those 21 pages from the beginning and thought they had mentioned them to you, so they are surprised when you didn’t expect them. They assumed that revisions where included in the package so completely changing the color scheme and layout of the site at the end of the project doesn’t seem like a big deal to them. I call it Project Frustration Disease. In the end you become a frustrated web designer who often dislikes, or is at least annoyed by their own clients, and your clients feel like they didn’t get what they expected to get in the beginning. And THAT is the root of the problem–to begin with false or vague expectations. You see the battle to keep these projects in budget and under time was lost to begin with because the right expectations, from both parties, were not set up front. It is too easy to get “just enough” information from a client that you go ahead and start the project. “Just enough” information is the worst amount of information you can have. It is like having “just enough” rope to hang yourself… and chances are you will. I don’t have all the answers here, but I want to give some solid guidelines to get a conversation started with the hopes that we will all be better off with our next web design or development project. So here are my three guidelines to get you started. Each project has certain stake holders. The most simple project will have two stakeholders, the customer and the designer/developer. More complex projects may have a client, their partners, a designer, a developer, a project manager, testers, marketing, etc. Each additional stakeholder or decision maker will make the project exponentially more complex and difficult to manage. So the less stakeholders the better, but no matter how many there are, be sure to clearly define WHO they are and what their role is. Not everyone involved in a project has veto power, even if they have some influence. At the beginning of the project you need to define who the stakeholders are and how much say they each have. Make sure a business owner doesn’t decide this whole website thing is way too much work, and then give the project to a secretary, who in the end doesn’t actually have any decision making power. That is where you get to the end of the project only to have the owner step in and pull the rug out from underneath you. These signposts (or milestones) are meant to be markers along the way to signal all parties involved that the project is going in the right direction. Every signpost should require the sign-off of each of the defined stakeholders. In this case, if you are mostly dealing with a secretary, you need to get the owner to sign-off at each signpost or milestone. Like any signpost when you are traveling, you should not pass the sign without everyone in agreement that you are on the right path and going the right direction. Don’t start integrating content until the template design is signed-off on. Don’t start the template design until the wire frame layout is agreed on. Don’t start backend development until the features are defined. Be sure to get the sign-ff for each signpost in writing. Don’t let your customer blow you off and simply give a nod! It seems easy at first, but it will only hurt you in the long run. Force them to say yea or nay and get it in writing. Tell them that you are at a stopping point and can’t continue until you have their sign-off on the completed work. Once you pass a signpost you can’t go back without additional fees. At the very least this sign-off should be clearly expressed in email, but I recommend using the same template each time with terms spelling out the consequences and importance of this part of the process. The more formal you make it, the better you protect yourself in the long run. There is no room for being vague here. Chances are, you are not asking enough questions and nailing down enough details. Exactly how many pages do they need? How many slides in the homepage slideshow? How many stock photos will be needed? How many services in the accordion content menu? Notice a theme? “How many”, get solid numbers on everything. Again, don’t let your customer pressure you into “just moving along”. Yes, it is true that often a client has no idea what they really want. This is how you become their “trusted adviser”, lead them! Tell them what they need. If you don’t know, research it before you talk to them. See what their competitors are doing, what pages do they have? How could you improve your clients site compared to their competitors. And if they don’t know how many, set limits. You can say things like “up to 20 pages”. The battle for keeping a project under control begins at the beginning. Remember that you can always be flexible if the client wants to add more and you think it is reasonable, but defining who the stakeholders are, setting signposts and agreeing to all the details upfront, gives you the power to easily keep a project under control. You can not create deadlines or accurate estimates without taking the above steps. With these guidelines you can stop project scope creep in it’s tracks. 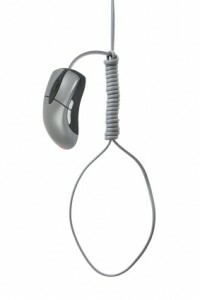 No more web design projects-gone-wild, no more angry clients, no more wasted time, no more Project Frustration Disease! What stories do you have of Projects Gone Wild? What did you learn from it? It is all about setting expectations and educating the client. Thanks I appreciate the kind words. it really is nice and simple, the problem is not very likely to work in real word. However clear you are on a signpost and say, your design is signed and approved, there is always something more. And you can count yourself lucky if the client is professional at least and will accept plus hours to be billed. As an account i always out emphasis to clarify every tiny detail before the project is set up, but we are human beings and a huge majority of clients is not marketing professional, so those tiny details are very rarely the final ones. (First, sorry for my English) Great words! Customers generally don’t have knowledge about the execution stages of a project, we need to support them in this too. Thanks. Glad I could be of help! Great article! Well written and simple. Really goes to show how things can go out of control. I’m going to bookmark this. Very true!! Its all about setting expectations upfront. Great post, indeed. We’ve instituted all these processes for a while now and there are no longer any more surprises. A point person, a solid contract, and strong boundaries all make up a great experience for both the designer and the client. Thank you Heath for your invitation to your blog which has very very usefull articles about. Great Post, I totally agree. The only way not not to loose track of the project and budget is to settle things right form the begining. Could you pay your doctor to amputate a healthy limb, or your dentist to pull out a mouthful of healthy teeth? Of course not. Bowing to every client demand makes us “order takers” and nothing more. We are hired for our expertise, and we should be listen to what the client wishes to accomplish. But not how to accomplish it. Btw, I learned a lot of good things about dealing with clients from The Art of Clients blog. You might find it helpful as well! I think this is an admirable policy. I have been asked, more than once, to do something the site owner thinks of as AWESOME that would actually serve to drive away potential customers and ultimately hurt their business. In these instances, I try to find a way to say No without actually using those words. So glad I’m not alone with these issues. Happy to say I do cover most of these and I have been lucky to find many wonderful clients. There have been a few though, one I had to literally hide from, I signed up for a simple 3 page/category WP with ecommerce, I was supposed to train them to enter products, I gave them a multi-site discount, but never made it to site #2. Site #1 still sits out there unlaunched, 80+ pages deep – I guess whoever they hired after me ran away too! Thank you for the post Heath. Managing expectations with a project is crucial. Just getting started, don’t know what. I don’t known yet! Great Article! You hit the nail right on the head with this. I just wrapped up with a client like this. Their 16 page site map went to 43 pages overnight. The custom fonts that I spent hours searching for, they were no longer happy with, just to mention a few. I was able to be partially compensated for my extra effort, however the final cost ended up being far less than I would’ve proposed. Yep, I think we have all been there. Live and learn, right? So true to web design. Although I don’t do the web design I see it happen all the time with the web developers guys, with the main problem being getting the copy in time and then the customers moaning about the webiste not being live. Another being clearly defining the price, as all you developers know, the customers may be expecting something extravagent for a small price and are then shocked to the inflated price when you put hours into completing it. really it is complex to understand client expectation and their requirement in fixed cost.